The theater is the oldest kind of art. It is practically impossible to establish a specific time period for its occurrence. Having dug deep into the centuries – you understand that the theater in one form or another has always existed and accompanied a person at all stages of the development of society and social culture. In general, it is impossible not to agree with the ancient statement that the whole world is a theater, and people in it are actors who. playing their part, disappear behind the scenes. The emergence and further development of the theatrical art took place in parallel in almost all ancient cultures. And in almost every case, the stage action of its origin was due to religious and mystical rituals, except for Ancient Rome. With the help of such ceremonies, the ancient man tried to communicate with the gods in the hope of gaining their favor. For all the centuries of its existence the theater has suffered a huge number of global transformations. But, in the end, he became the “progenitor” of many modern art forms due to technical progress. It is possible to say with full confidence that the art of acting in front of the public combines simplicity and at the same time incredible complexity. The European theater owes its origin to the ancient Greek theatrical art, which was wholly dedicated to the glorification of the god Dionysius. On holidays in honor of this deity, real competitions were organized between dramatists who showed each other their skills. It is worth noting that the modern theater can not boast the same number of viewers. Ancient stage performances collected the audience of ten thousand people. The theater was the favorite, and sometimes the only way to have fun. Basically, all the performances were spectacular, grandiose and solemn. In the ancient theater, all roles were played exclusively by men who, for women’s roles, simply changed into appropriate outfits, used wigs and other requisites. In addition to the actors on the stage, there was a choir with the task of explaining the actions and additional accompaniment. 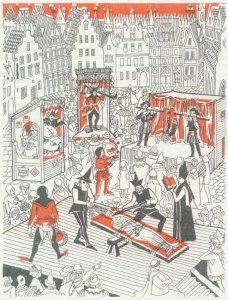 In the Middle Ages the theater was still very popular and in demand. We can say that his social position has not changed much. The theatrical medieval action was divided into two branches. 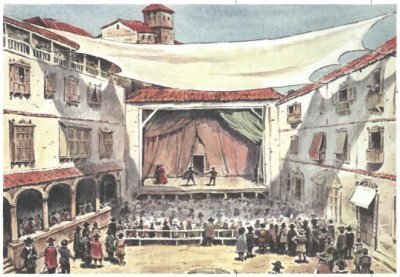 The first is an area theater, which, due to its existence, was indebted to the wandering actors’ companies, which traveled through the cities and assembled crowds of people in the city markets and squares. 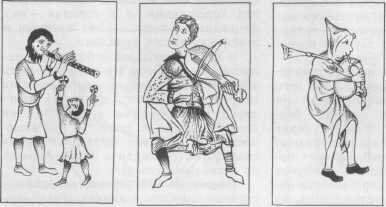 In such representations, mainly troubadours and jugglers participated. Performances in the squares were ridiculed by feudal lords, church representatives and other noble unscrupulous people. It is not surprising that this kind of medieval theater art did not suit the “strong of this world”. Therefore, this occupation was considered shameful and sinful. As for the second version of the theater, representatives of the church and noble persons were more supportive of it. Mysteries are a kind of interpretation of evangelical stories on stage. Organized similar performances in the church most often during the celebration of Easter.